Manages and leads a staff in the growth, care, and maintenance of the facility’s horticulture. Works with biological systems companies to establish a region-specific biological crop protection program for greenhouse operations. Confirms the effective management of pest and disease control. Consults with leadership regarding future yield targets. Participates in budget preparation and develops a growing plan to meet production goals. Ensures that growing schedule maximizes production yield while minimizing expenses. Coordinates with the Labor Manager to plan and execute crop work. Consults with Assistant Growers on matters including crop and climate registration data, scouting reports, food safety regulations compliance, health safety standards compliance, and the implementation plant health plan directives. 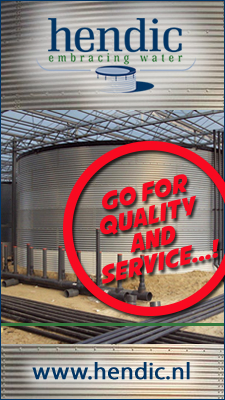 Manages fertilization, irrigation, and climate control needs. Ensures the administration of soil, water, and disease tests as necessary and ensures that proper follow up actions are taken. Works with Assistant Growers to maintain inventory of growing supplies. Oversees trials of new products prior to use within the facility. Manage record keeping of growing techniques to review and identify opportunities for improvement. Oversees the training of new employees and techniques. Verifies that records and reports are accurate and up to date. Undergraduate degree in Horticulture, Agriculture, or equivalent experience. Minimum five years experience in horticulture. Knowledge of PRIVA and experience with technical greenhouse systems. Knowledge of horticultural pests and diseases identification. Familiarity with industry food and health safety standards. Pesticide License or Assistant’s License. Previous experience as a Head Grower or Assistant Grower is a plus. Advanced degree in Horticulture, or Agriculture a plus.